Want to invite friends over but don’t have time or desire to slave away in the kitchen? A Tapas Party is one of the easiest “Easy Entertaining” options around. Many of the dishes can be easily made ahead of time, quickly prepared right before guests come over or made as an interactive dining activity. Supplement with store-bought, ready-made items you can serve in a pretty dish, and you’re all set. Spanish Tapas – small plates – are meant to be simple to allow you to focus on your guests. More than a dish, they are a way of eating. My favorite way of eating. Known as “variantes” in Barcelona, marinated olives are a staple of any tapas party menu. Your favorite gourmet grocery store will likely have an olive bar where you can buy stuffed and marinated olives of all kinds. In a pinch, those will do. But, why not make your own marinated olives instead? I find they are less salty, much more fragrant and flavorful and can even be cheaper. Plus, how cool is it to show off and say you made the olives rather than just popping open a jar? Right? On my last trip to my hometown of Portland Oregon, I spent a fantastic day with my family at Mt. Hood’s iconic Timberline Ski Lodge. A foot injury prevented me from going outside to play in the snow, so I took it easy, skipped the skiing and went straight for the “Apres-Ski” cocktails and snacks. 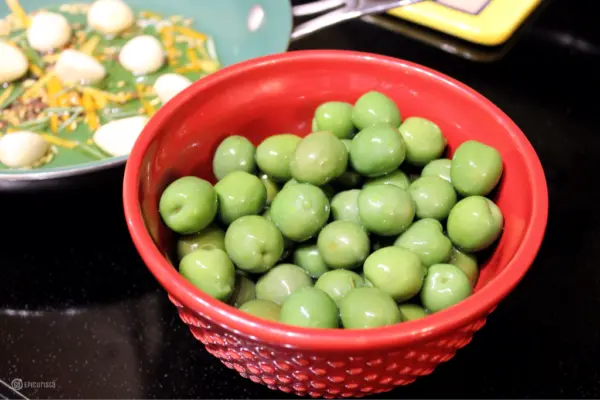 While my sisters were out skiing, the rest of us hung out in the lodge and picked at a ‘tapas style” smorgasbord of appetizers, including the most amazing marinated Castelvetrano olives. I knew I had to recreate these marinated olives once I returned home to Florida. Sunday Supper “A Night in Spain” was the perfect occasion. Tapas are my favorite kind of meal. 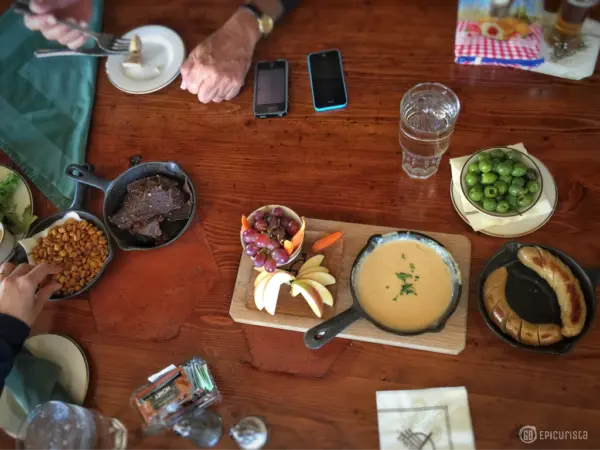 Small plates meant for sharing equals sampling lots of different types of food on the table and lots of laughter and conversation. And that we did that day at the lodge. Today is the final day of the 4th Annual Food Wine Conference sponsored by Sunday Supper Movement. A fantastic event which brings together food bloggers, recipe developers, social media stars, and brand representatives for 3 days of the most phenomenal food and wine experiences, educational sessions and lots of networking. The #FWCon conference has a special place in my heart for a number of reasons. First, because it was the first food blogger conference I attended, back in 2014, when I had nary a clue about this whole blogging business. Second, because although my quest to learn more about blogging and embark on a new career is what initially inspired me to reach out to Isabel Laessig, the founder of Sunday Supper Movement, it was my expertise in event planning that helped me become more involved in this new world of digital media. It has been an honor to be able to use something I know very well to assist the Sunday Supper team as a supporting sponsor of this conference for the past 2 years. Creating collaborative relationships where knowledge and expertise is shared has always been important to me and I am thankful to have had that experience with this fantastic group. Lastly, and most important, the conference has been most special because of all the wonderfully supportive blogger friends I have met at this event over the years. Over and over, we say that what we do as food writers and bloggers is not about ingredients and recipes, it’s about the people. It’s about creating great moments sharing great food over great conversation with family and friends. That’s what Sunday Supper Movement is all about and that’s why I’m so grateful to be a part of it. Tonight, we will head to the unofficial conference after-party at Tapa Toro Tapas Bar & Paella Pit, my favorite Spanish restaurant in Orlando, for what promises to be one of the most memorable #SundaySupper LIVE twitter chats ever. Tapa Toro serves contemporary Spanish cuisine led by chef / owner Katerina Coumbaros and executive chef Wendy Lopez in a vibrant, energetic atmosphere where you’re not only dazzled by the chefs behind the giant paella pit but entertained by live music and Flamenco dancing. We will be enjoying a true Tapas Party with sangria, a variety of tapas plates, charcuterie and paella while live tweeting with all of you about “A Night in Spain” from 7pm-8pm EST. I can’t think of a better way to wrap up this food and wine filled weekend with amazing tapas at Tapa Toro! I hope you will join us. 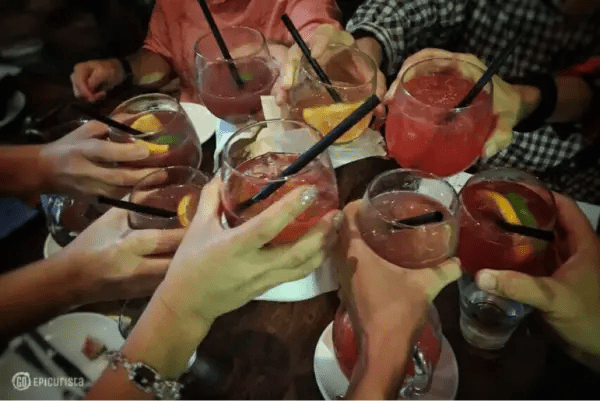 At Tapa Toro, Tapas, Sangria and Friends are the perfect combination! You can use any type of olive, so pick your favorite. However, don’t be afraid to try a new variety. There are dozens beyond the usual black, kalamata, and green varieties you find on grocery store shelves. 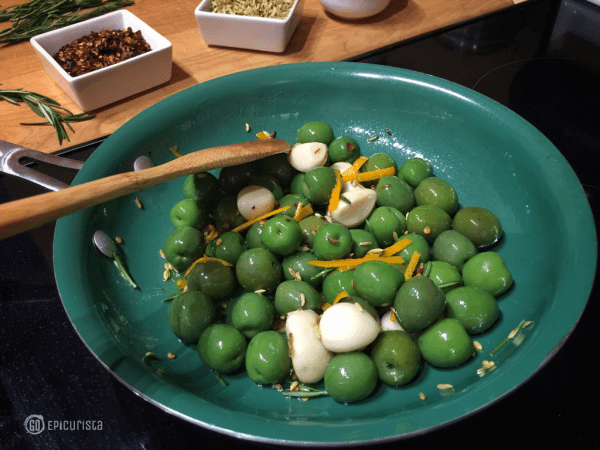 I had never tried the Castelvetrano olive, Italy’s most famous bright green olive from Sicily. This recipe got me hooked. The meaty, buttery flesh and mild flavor allows the citrus and fennel marinade to shine through in a very flavorful way. If you want to keep the Tapas Party authentic to Spain (rather than Antipasto in Italy or Mezze in Greece), then try the commonly used Manzanilla Spanish olives (you usually find these stuffed with pimento) or buy the fatty Gordal olive, grown in Andalucia Spain. Amazon has a variety of olives available including the Castelvetrano or you can find them in a jar at gourmet stores. 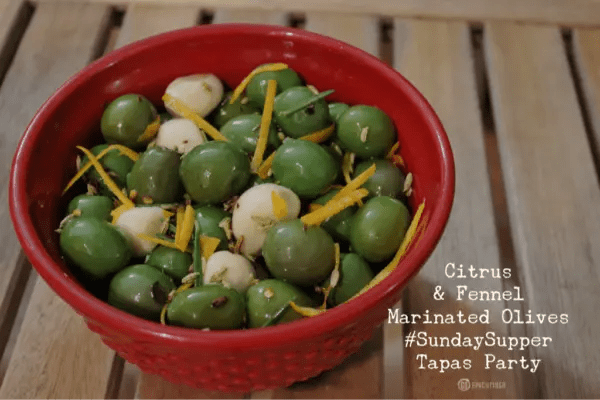 Chef’s Tips: Katerina Coumbaros, Chef/Owner of Taverna Opa and Tapa Toro Restaurant in Orlando, host of the Sunday Supper LIVE event, recommends removing olives from their brine and soaking them for 24 hours to tone down the salty and bitter flavors. If you’re in a crunch for time, rinse the olives under running cold water for a minute and soak in a cold water bowl while you prepare your other ingredients. Did you know that using olives with the pits in your recipes will give you a firmer texture? Olives with the pit removed tend to get mushy. Although they are much easier to eat. If you’re serving with the pits, be sure to have a discard bowl. Regarding the preparation of the olives, there are two ways. 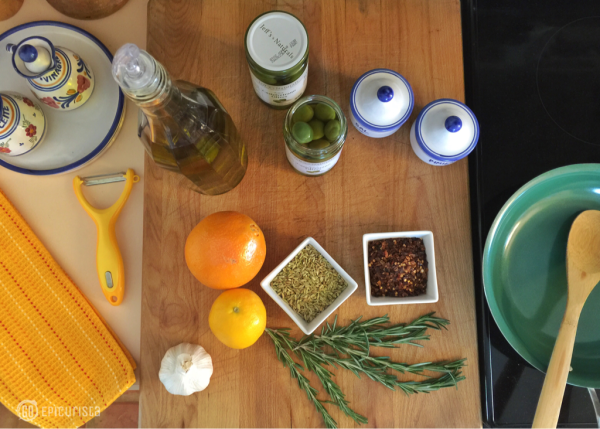 The easy way is to simply mix all the ingredients in a jar or glass bowl and let the olives marinade in the olive oil mixture for a few days. I find a more flavorful way, is to briefly simmer on low heat to release the fragrances and oils of the orange zest, garlic and fennel. Olives can be refrigerated indefinitely but always remove from the refrigerator 30 minutes prior and serve at room temperature. Once again, you can select the citrus fruit of your choice based on what you can find fresh in your store. 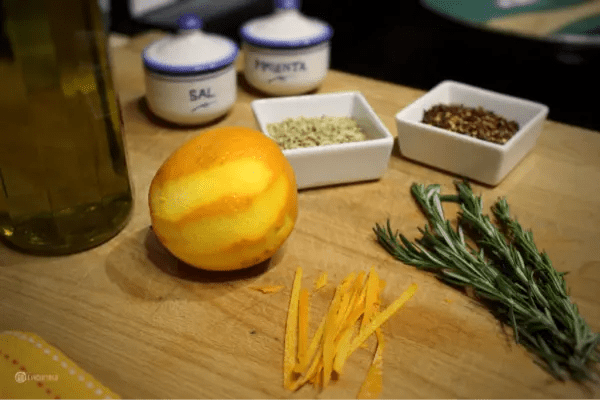 Navels, Valencia, and Clementines oranges, regular lemons or Meyer lemons all work great in this recipe. I always look for citrus fruit from Duda Farm Fresh Foods based here in Central Florida. After meeting their representatives last year at the Food Wine Conference and learning about their history, being a five generation family business since 1909, I realized how important it was to support local whenever possible. Plus, the quality of their produce is fantastic. In this recipe, you can either thinly slice or leave garlic cloves whole. In order to remove some of the bite and strong flavor of garlic, especially if leaving whole, bring a small saucepan with water to a boil and cook the unpeeled garlic cloves for 4 minutes. Drain and place the garlic in an ice water bath and then add to your oil marinade. 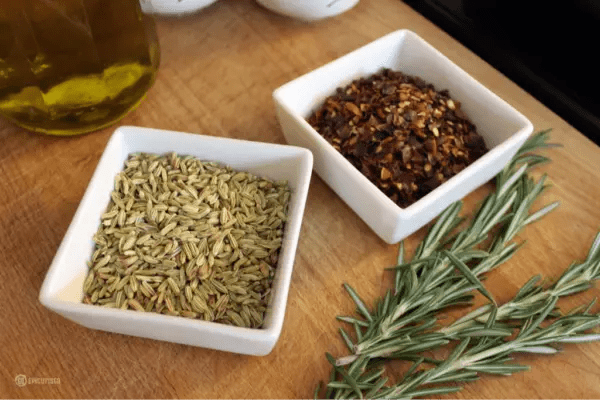 The crushed fennel seeds, red pepper flakes, and fresh rosemary all contribute to a very fragrant and flavorful dish. You can adjust quantities to taste and skip the red pepper flakes all together if you don’t want any spice in your dish. 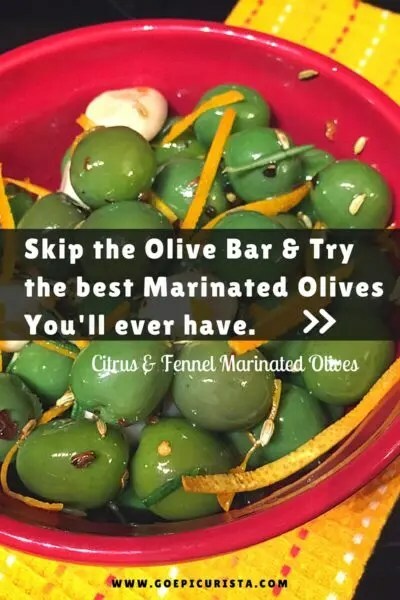 I hope you enjoy these Citrus and Fennel Marinated Olives as much as I have! Pop open a bottle of sherry, your favorite wine or mix a refreshing sangria and pair it with a combination of dishes from this fun Tapas Party Menu below, invite your friends over and you will be enjoying A Night in Spain no matter what part of the world you live in. Nothing says let’s get together like a Tapas Party. 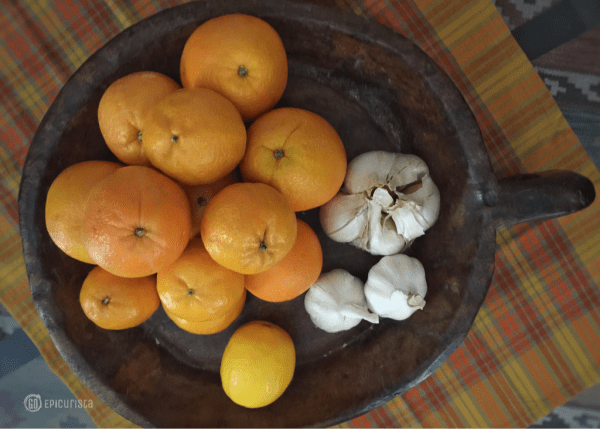 This is all you need for Easy Entertaining Spanish style! 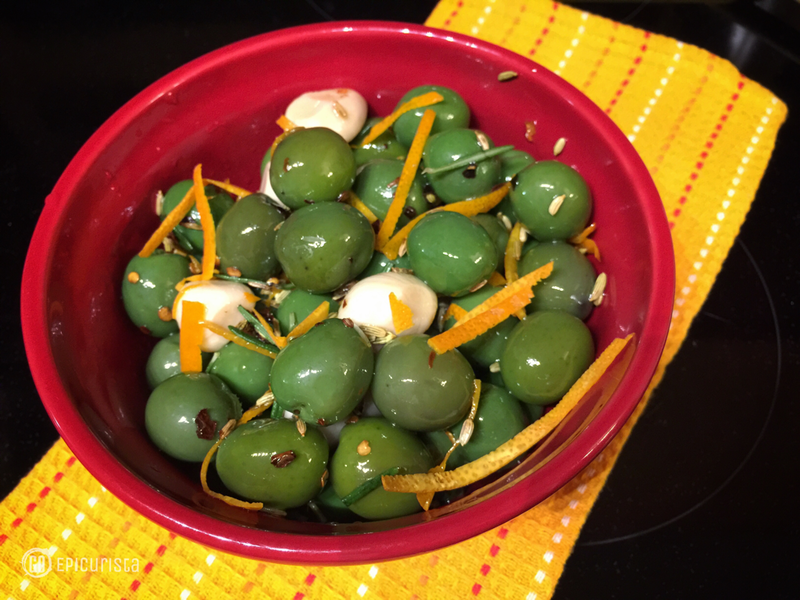 Fragrant and flavorful Castelvetrano olives marinated with orange, fennel, red pepper and rosemary for a perfect appetizer and snack. Stir in garlic, orange peel and spices and let steep for 2 minutes. Add olives to the oil mixture and simmer on low heat for 2 minutes. Remove from heat. Let sit for at least one hour at room temperature before serving or storing. If refrigerated, remove olives from refrigerator 30 minutes prior to serving and bring to room temperature. I think I know someone available for hire 🙂 Cheers! This looks like a great recipe and I love the breakdown of all the wonderful ingredients for a fun tapas party at home! Thank you for checking out Go Epicurista! I hope you enjoy making these tapas dishes at home with friends. Cheers! Thank you so much! I hope you like them. I am hooked on these olives now because they are not briny and salty like the ones you buy in the store. Cheers! wow that looks amazing can’t wait to eat it ! Go for it! They are addictive!